This week on Gotham: A new drug is introduced to the streets of Gotham. Meanwhile, Fish trains her new “weapon” in the art of seduction and Bruce Wayne discovers corruption at the heart of Wayne Enterprises. Gotham is back on track. While the last two episodes have been weak, “Viper” has a very balanced story. Each character is given equal screen time so the viewer is not bombarded with one perspective. Furthermore, “Gotham” is slowly bringing the plot pieces together in order to form a cohesive and complex story arc for the season. “Gotham” made a huge improvement this week, so let’s take a look at some aspects that made this episode particularly interesting. A new drug is in the market, it’s called Viper. It comes as a green liquid and gives its user superhuman strength. For those who are Batman fans, this should set off some pretty strong signals. Viper seems to have very similar properties to the drug Venom: the power source of Bane, one of the Dark Knight’s strongest foes. Well, as the episode explains… Viper is actually a precursor to Venom! While Viper does give superhuman strength, the formula is not perfect, and causes the user to die rapidly. Nonetheless, the introduction of this drug does have some very serious implications.Considering that Venom is used almost explicitly by Bane (Batman tried it for a short time, and several other characters have dabbled in it over the years), how long will it be before we see “The Man Who Broke the Bat” himself, if ever at all? While I do not think the show-runners will introduce such an important figure so early, I do feel that the stage is clearly set for Bane to make an appearance in later seasons. While there have been many different representations of this relationship (both in comics and film), I have enjoyed this depiction the most. Much of this is because it is actually very realistic. While Alfred is Bruce’s butler, he is also his guardian, though the latter is often lost in many interpretations. 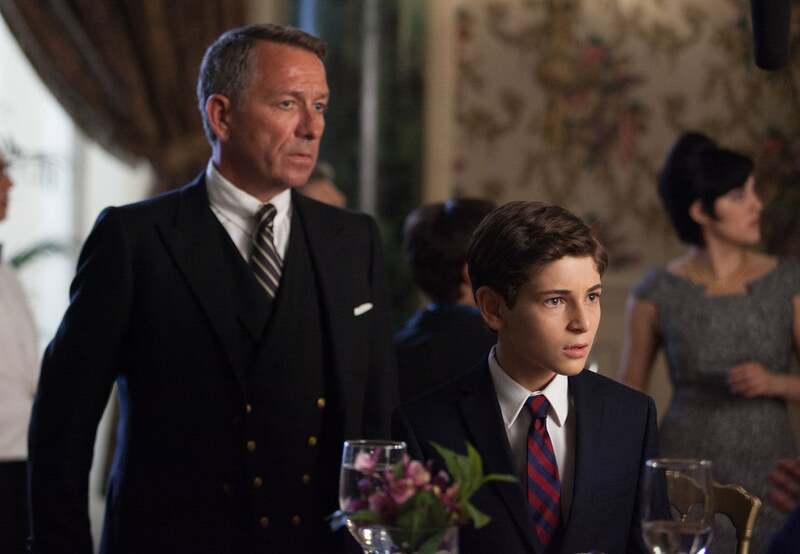 Sean Pertwee’s Alfred is kind and caring, but like any parent or guardian, gets annoyed and frustrated with his ward. A child and guardian will have disagreements or arguments, because it is part of the human experience. Thus by representing the dualism of the relationship, a greater sense of realism is imbued in these characters. I look forward to see how “Gotham” evolves this relationship as the show progresses. This is the right road for “Gotham”, and I am happy to see the show has found it. The show is very organic: it is not just a police procedural, political thriller, or comic book homage, but a rather combination of all these aspects and more. “Gotham” needs to stay the course, and build on the formula that it has created. Nice review. I agree with your take on Bruce / Alfred from this episode. Their relationship and the focus on kid Batman was really wearing on me, but this episode I thought it started to make sense. Alfred isn’t just angry and struggling, he’s caring and trying to help Bruce through an impossible situation. The moment where he sits down to help Bruce analyze the Arkham files was genuinely pretty sweet. I’m still wary of Kid Batman (I didn’t need kid Darth Vader either), but it’s actually kind of an interesting attempt to portray the one period of Batman’s life we don’t know much about. Otherwise, I like the balance and pace of “Viper,” and the inclusion of the Venom precursor makes a lot of sense. My biggest hang-up this episode was every scene involving Fish Mooney. I actually liked the character up until this point, but everything here was egregiously cheesy. Your point at the end is spot-on – Gotham has the potential to mash-up a lot of genres successfully. The Halloween episode next week is looking like it’ll be their first attempt to really go for the terrifying underbelly of Gotham, so that should be fun.